‘Tis the season for giving and receiving and what I love about Norwich is there seems to be a real community vibe and people wanting to help others, particularly during the holiday season. I’ve put together a few suggestions for how you and/or your little ones can help others this Christmas, but please get in touch with any other ideas you have, or add them to the Norwich Mumbler Chat Group thread and I’ll add them on. 1. The Reverse Advent Calendar – DONATIONS! Alongside opening traditional Advent calendars, put aside a box and on each day of Advent pop an item in the box. You could do it for various causes and charities including Norfolk Baby Bank, Leeway, the Norwich Foodbank or you might want to use it as an opportunity to sort through toys before Santa arrives and donate to your local Children’s Centre. You could make the box “Christmassy’ and children could also make Christmas Cards to put them in with the donations. It’s always wise to visit an organisations website or Facebook page first where you’ll find lots of information on the types of donations they desperately need, or those that they can’t accept for Health & Safety reasons. This is the 12th annual Giving Tree Appeal and Norfolk County Council have teamed up with Waterstones to help the appeal provide books to children in care. The Giving Tree will be located in the Waterstones branch in Castle Street in Norwich and will be decorated with tags, each representing a child. If you’d like to take part, please visit the store before Saturday 8th December to select a tag and buy the requested book. The volunteer positions for Christmas day are now full, but you can find out how else you can support this event for anyone alone or homeless, HERE. An organisation dedicated to make sure as many elderly people as possible have companionship on Christmas Day. Find out how you can get involved HERE. You can Volunteer, Donate or Nominate someone who has had a tough time to receive a basket HERE. “intu Chapelfield, the region’s biggest shopping centre, has once again partnered up with children’s charity EACH ahead of Christmas, to sell beautiful, limited edition glass butterfly baubles. One of our favourite organisations (and who have recently been turned into a charity!!) 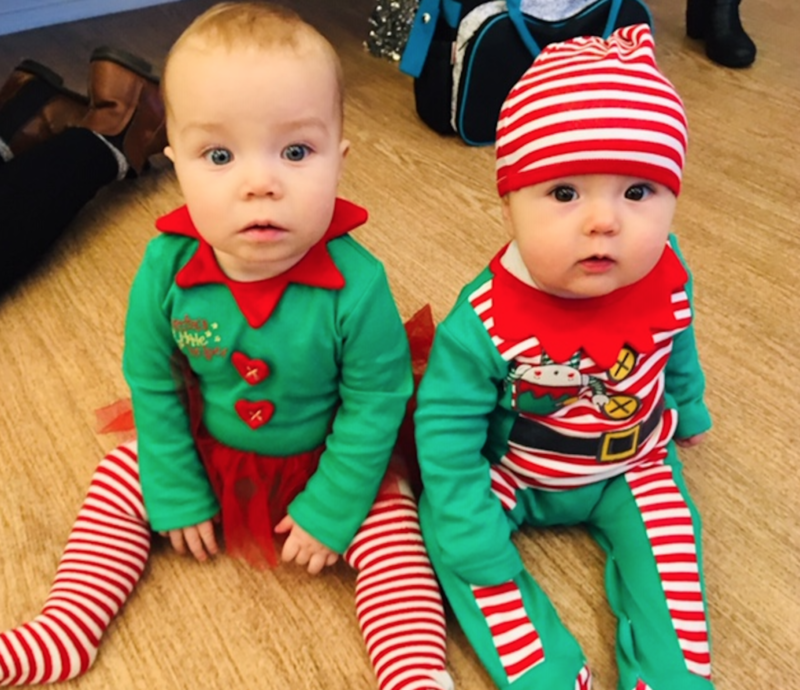 has arranged some visits into care homes for ‘Little Elves’ to spread cheer to the older generation. If you’re a new Little Visitor email littlevisitors@friendindeed.org.uk for more information or visit the Facebook page. Photo courtesy of Friend in Deed.